Will Bobby Hauck be coaching the UNLV Rebels' football team next year? Next year is going to be a big year for NCAA Football. The BCS is going away, and a playoff will take over as the determinant of the nation's best college football team. But how different will things be for my alma matter, UNLV? Well, they certainly won't be competing for a spot in those playoffs, and they probably weren't going to any bowls either. So the big question is: will they have a new head coach? If you had asked me that question prior to the start of this year, I would have given an emphatic "Yes!". Caleb Herring has almost single-handedly saved UNLV's season. Unfortunately, both he and star running back Tim Cornett are seniors. Bobby Hauck's first 3 years calling signals for UNLV has been less than satisfactory. 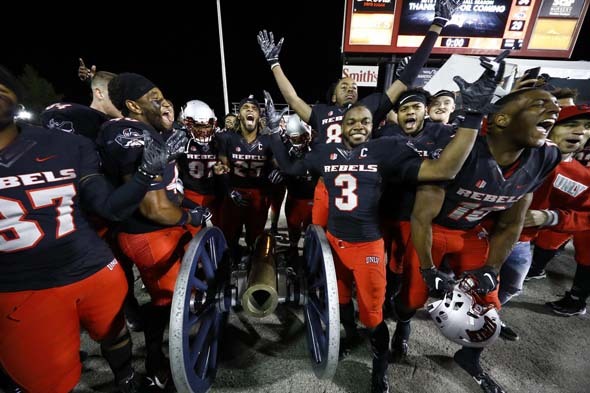 Each year, the team has finished with a measly two wins, he hadn't won a single road game, and UNLV was prone to giving games away in the second half - even to teams that they should have beaten. The best thing that you could say about UNLV over the past 3 years is that they made some players on some division AA schools very happy! UNLV showed no improvement during those first three years, and in fact, the team seemed to be going backwards. Any hopes of a turnaround season were dashed by the third or fourth week of the season. 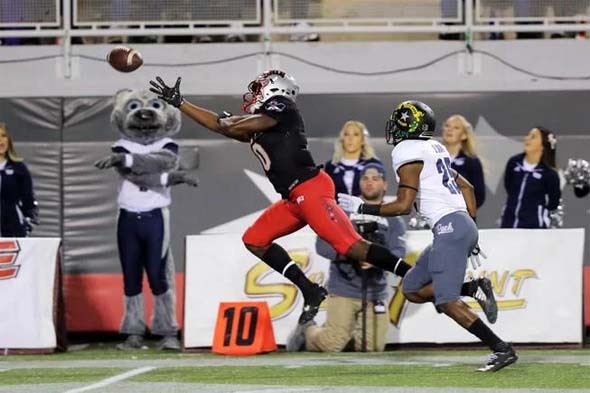 After the first five halves of football this season, it was looking like UNLV had fallen even deeper into a tailspin, and I had doubts that Hauck would last through the end of the season - let alone survive long enough to see the fancy new stadium be built.